Sita Mata Wildlife Sanctuary is a wildlife sanctuary situated in south-east portion of Pratapgarh district (Rajasthan). The Sanctuary provides rich pastures for a variety of Deer that includes the Chowsingha and for Caracal wild Boar, Pangolin and Leopards. 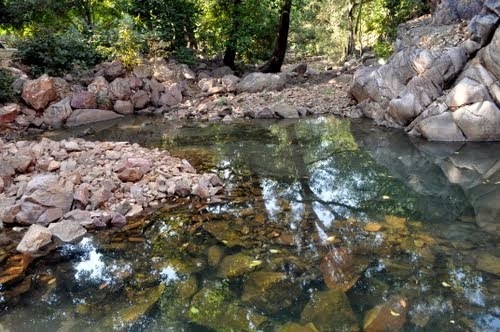 Sitamata Sanctuary is spread over the Aravali and Vindhyachal mountain ranges and is the only forest region where teak trees of building value are found. In this sanctuary, around 50% trees are of teak. Besides these salar, tendu, amla and bamboo bel are also found in abundance. The leopard, hyena, jackal, fox, jungle cat, porcupine, spotted deer, wild bear, four - horned antelope and Nilgai are the animals found in Sita Mata wildlife sanctuary. The most conspicuous animal of the Sita Mata sanctuary is the flying squirrel which can be seen gliding from one tree to another after sunset. Its activities are nocturnal and during the day the day it hides in the hollow. 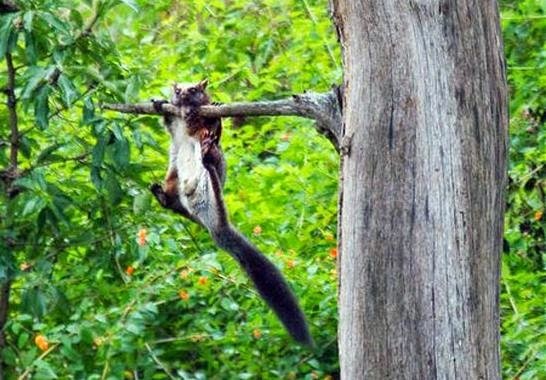 The best time to see this squirrel is between February and March at Arampura Forest Guest House, when most of the trees shed their leaves and it is easier to spot the squirrel on the branches of leafless trees. Here are some more facts about Pratapgarh and Sita Mata wildlife sanctuary, Pratapgarh Rajasthan in Hindi. - मौताणा यहां की एक विशिष्ट परम्परा है, जिसमे दुर्घटना में या अप्राकृतिक परिस्थितियों में मौत हो जाने पर सारी की सारी आदिवासी आबादी 'दोषी' या अपराधी का तब तक घेराव रखती है, जब तक उसके द्वारा नकद मुआवजे का इंतजाम नहीं कर दिया जाता.